The man accused of "the biggest military hack of all time" today lost his appeal against extradition to the US to face his accusers. 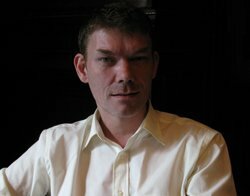 Gary McKinnon was "distraught" at the decision of the European Court of Human Rights, his lawyer, Karen Todner said. She appealed to home secretary Jacqui Smith to stay his exit and to try him in the UK. Details of the judgement were unavailable this morning. McKinnon is accused of hacking into 97 US federal and military computer systems, and of trying to get into 73,000 others where he caused damage worth at least £350,000. McKinnon was arrested in 2002 but the US asked for his extradition only in 2005. McKinnon, who admits hacking US military computers, has lost his appeal against extradition in every court available to him. The US is now free to extradite McKinnon to the US. Todner said, "The offences for which our client's extradition is sought were committed on British soil and we maintain that any prosecution of our client ought therefore to be carried out by the appropriate British authorities. Our client now faces the prospect of prosecution and imprisonment thousands of miles away from his family in a country in which he has never set foot. " McKinnon believes he faces up to 70 years in a federal jail, without the possibility of repatriation for part of his sentence. Todner said McKinnon was diagnosed recently with Asperger's Syndrome. This is an autistic diesease characterised by difficulties in social interaction and by restricted, repetitivepatterns of behaviour, interests and activities.